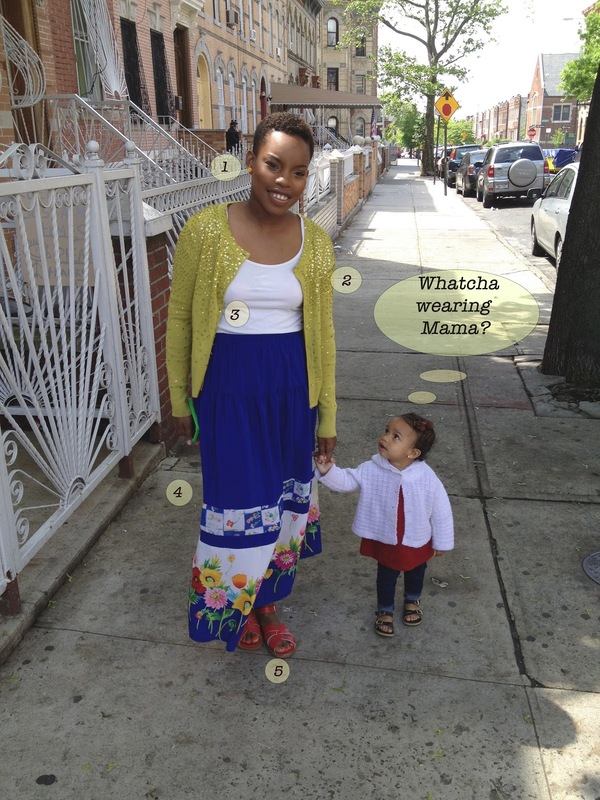 *What Mama Wears is the first series of many on this here blog of mine! This Sunday was a day full of fun, firsts, and family. We spent most of the day running around in our little co-op car. I call it a co-op car, because it really isn’t ours. We just have the lovely opportunity to share in it’s enjoyment while Peter’s cousin/ River’s Godfather travels back and forth from New Orleans and NYC. The amount of things we get done with a car is astonishing. In one day we had to run morning errands, get Peter’s haircut, go to a birthday party, drop me off at a styling job (cue my jumping for excitement), pick me back up, and lastly, go for a food HAUL at our local Trader Joe’s. By local I mean a 30 minute car ride. more TJ’S in Brooklyn please! When I know I am going to have full days like Sunday, I almost always throw on a skirt. For me, you can’t go wrong with a long flowy skirt. You get that much needed comfort, but you also get that sense of class. Personally, I yearn for that sense of class on the weekends (that’s a whole other blog). If you are a size zero or plus size, you can still rock this comfy staple. Long skirts have endless possibilities. 1. 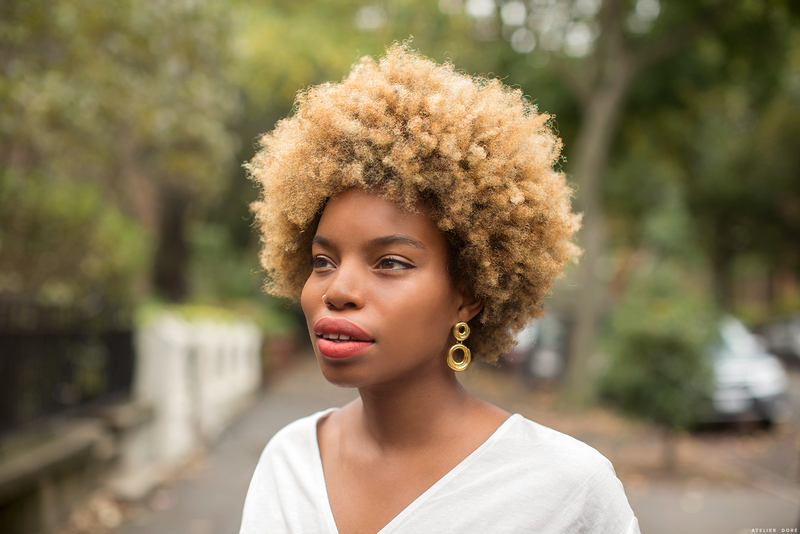 My favorite custom designed earrings from Brooklyn Charm! P.S I’ve finally figured out some Photoshop stuff. Thanks husband!